After several months, American National Anke Doehm was back in Supreme Court in Belize City on Wednesday, January 23rd. She is facing a charge of ‘Cruelty to a Child’ in connection to the death of her adopted daughter, Faye Lin Cannon, who died in 2017. Doehm was in court for a ‘Case Management Conference,’ where she was informed to return to court on June 18, 2019, to finalize her trial. The last time she was in court was in September of 2018 where she sought permission to travel to the United States of America (USA) for health reasons. Doehm had formally submitted her petition, but before approval, it was suddenly withdrawn. 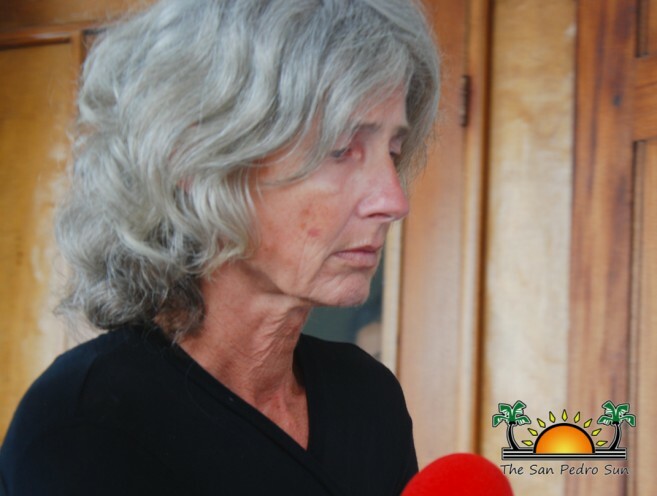 Doehm has been living on the mainland after her arrest in July of 2017 while living on Ambergris Caye. She and her now deceased husband, David Doehm were put behind bars following the suspicious death of her adoptive daughter 13-year-old Faye Lin. Her sisters Zoe, Mia, and Siri were placed under the care of the Belize Human Services Department. Despite the Doehm’s statements that the little girl died of natural causes, the post-mortem examination revealed that Faye Lin had been physically and sexually abused. Faye Lin’s cause of death was recorded as compression on the chest, causing internal hemorrhaging. After being charged for the death of their adoptive daughter, the Doehms each managed to secure a $10,000 bail. As the case heated and forensic evidence was about to be presented in court, David was found dead inside a room of the Ramada Princess Hotel and Casino in Belize City. Police ruled his death a suicide after they found a note next to his bed. Meanwhile, the girls’ adoptive father David Cannon fought in court for their custody. They finally moved back to the USA in December 2017, when the family court in Belize City granted him complete custody of his daughters. The San Pedro Sun will continue to report on the Doehm case as information becomes available.